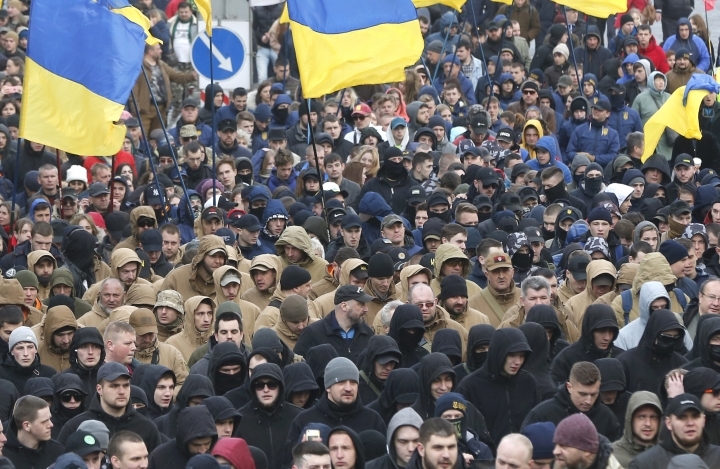 KIEV, Ukraine — About 5,000 nationalist demonstrators have held a protest in the Ukrainian capital of Kiev calling for arrests in a defense industry corruption case. A journalistic investigation in February reported that figures close to President Petro Poroshenko and a factory controlled by him were involved in an embezzlement scheme. 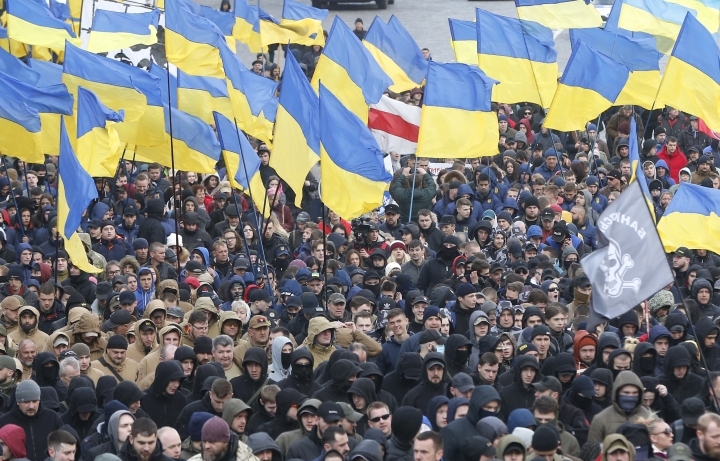 It has become a top issue in the heated campaign ahead of Ukraine's March 31 presidential election.